Who will lead if no one wins U.K. election? 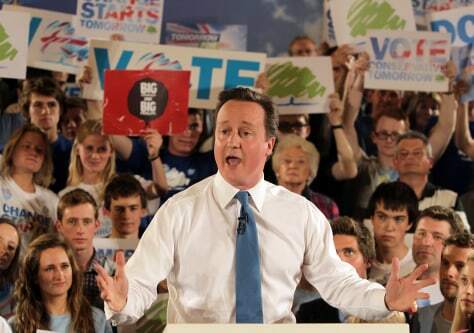 Conservative Party leader David Cameron speaks at a party rally at the end of his 24 hour campaign stint on Wednesday in Bristol, United Kingdom. The leaders of all political parties are canvassing hard for votes on the final day before the election.